With so much free music, Youtube and CD swapping these days it's easy to forget that there are still great bargains in music stores. Recently I got a Bee Gees Greatest CD for just €6.99 in HMV. It contains all the big hits and several remixes. 28 songs in total. Included are my favourite Bee Gees songs; Too Much Heaven, Nights On Broadway , Love You Inside Out and Spirits (Having Flown). I never really liked the Saturday Night Fever movie. I think people get nostalgic about it because of the music and cinematic imagery but it a film that is very dark in places especially at the end. I do of course love the music. If I Can't Have You is one of the best Bee Gees songs of that period. I adore Yvonne Elliman's original version and also Kim Wilde's version from 1993. 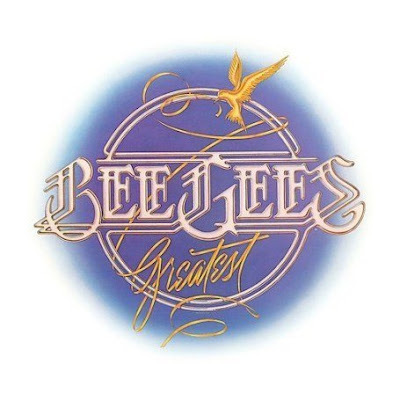 On the Bee Gees Greatest there are 3 versions of the Bee Gees singing the song. I love pop music lyrics and for ever I always thought a song like If I Can't Have You is like psychotic pop..."If I Can't Have You, I Don't Want Nobody, Baby"
That Disco Boys version of "If I Can't Have You" is kind of epic. I own it, and usually stop what I'm doing when it comes up on shuffle.